I Applied to 11 Universities. This is What I’ve Learned. It was a stressful process, but everything is going to be okay. 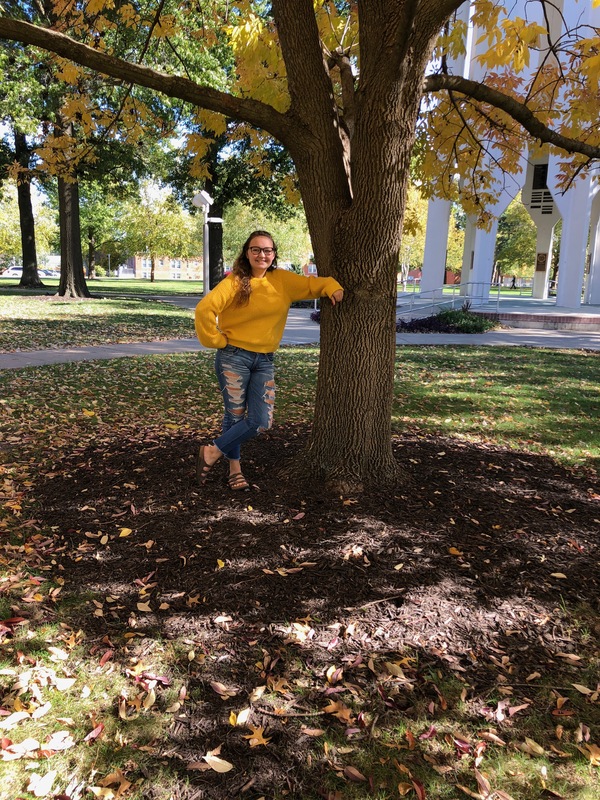 This was taken on Northwest Missouri State University's campus earlier this year in October when I had first received my acceptance. It is true. I applied to a total of 11 schools. I am a senior in high school and am in the midst of the college application cycle. What this on going and draining process has done to my mental health is beyond something that I have never felt before. I have an average amount of anxiety everyday, some days there is more than average leading me to having a breakdown laying on my couch in the basement. That is just a given, and I’ve learned this. However, during the last few months my anxiety has been going through the roof at random moments. Around one or two days a week I can easily be seen, “down in the dumps” as they say. My application should shine to most of the schools I’ve applied to. I created a class, developed an after school introductory to French program at the elementary level, overcame censorship with my high school’s administration, am apart of three honors societies, the list goes on. My test score is terrible (ACT 24 with a 27 in science), and my gpa is a 3.5 unweighted (on a 4.0 scale) with almost all honors and AP classes. What I have experienced during the last months, I’ve felt like I was dragged through Hell twice. So, before I begin with what i’ve learned, these are the joyful 11 schools that I applied to. No matter where I end up, I will be happy. I’ve freaked out about how good the schools I’ve applied to are. I want to go to Law school or pursue some upper level education beyond an undergraduate degree, however I recognize that students change their minds all the time. This thought launched me in an endless cycle of questioning whether I go to a good school and be in debt for my undergrad, or go to a normal school and hold off on debt for higher level education. It’s this weird cycle, but it is being completely ran by my unyielding anxiety. It took a long time to realize that I won’t choose a school I don’t like, no matter where I go I’ll find my ways to fit in and make friends. Everyone is great in their own unique ways. I contributed a lot to my community. Other students may have landed all 5’s on their AP tests, and others have overcame adversity. Each and every person is unique and has their own stories. College admission officers are comparing students, and it freaks a ton of us out, but at the end of the day, we aren’t the same person as the one next to us. It is your future. It’s in good hands. Things will work out. The head on my shoulders won’t let me fail (although it did let me fail AP Calculus first semester…). Most issues are temporary and won’t last forever. For students who are freaking out about college decisions, come May 1st, it will all go away. This is the advice that nobody told me when applying. No matter where you go, or what happens next year, it will be for the better. Current senior in high school, Chloe is apart of her school's varsity debate team, and student coach to the mock trial team. Her dedicated time in these activities has taught her to never stop reading, researching, and writing. Chloe has also been apart of her high school's nationally recognized journalism department since freshman year. In her free time she enjoys reading, playing tennis with friends, and exploring forgotten parts of her hometown Omaha, Nebraska.